There is a huge variety of printable and online sewing designs that a beginning seamstress can find to help her improve her sewing skills. Some printable and online sewing designs that she can find are patterns for dresses, accessories, holiday decor, cloth diapers, aprons, and much more. 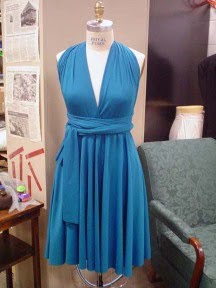 At SewCity.com, a beginning seamstress can find 54 dress patterns. Two featured on that page are the Infinity Dress and The Little Black Dress. Taking The Little Black Dress as an example, the instructions display how difficult the pattern is, a list of what is needed to complete the pattern, how to cut the pattern, and specific instructions in order to successfully sew the dress. There is also a link listed at the end of the instructions that provides a sizing chart so the beginning seamstress can determine what size she needs. The sewing pattern is available in PDF format and is listed by size, such as S, M, L, and XL. There is also a link that she can click on to browse fabric selections and sewing supplies. A great source that contains many different types of free sewing patterns is at Diyfashion.about.com. After going to this page, a beginning seamstress can find patterns for dresses, shirts and tops, pants and skirts, wraps and accessories, baby things, children things, aprons, bags and purses, and more. As an example, there is a tutorial for drawstring pants. After clicking on the link that takes her to this pattern, there are eight pages of information and images to help the beginning seamstress achieve this pattern. It tells what a beginning seamstress needs to complete the job, how to fold a pair of pants to make the pattern, how to trace the pattern, how to stitch up the legs, how to stitch the crotch seam, how to add buttonholes or how to measure elastic, how to stitch the waist, how to hem the bottom, and how to finish the project. If a beginning seamstress is interested in learning how to sew accessories and home decor, KeepAndShare.com is a great place to browse. 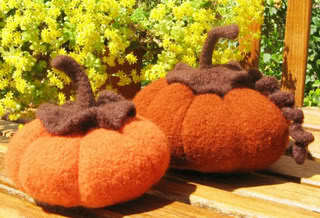 Some examples of what she can find on this page are felted pumpkins, tie-on slippers, pincushions, quilt patterns, embroidered jeans, handbags, scarves, and pillows. After clicking on what is of interest, it will take the beginning seamstress to a website providing her with what she needs to complete her project. For example, the tie-on slippers brings her to a page that she can click to get the pattern with basic, simple instructions. If the beginning seamstress is interested in creating cloth diapers, there are many free cloth diaper sewing patterns out there. A great page providing information and resources is at CheekyDiapers.com. At this page, the beginning seamstress can find many tutorials for a variety of different types of cloth diapers, such as swim diapers, pocket diapers, fitted diapers, diaper inserts, and prefolds. There is also a list of different types of free patterns for cloth diapers, such as pocket diapers, fitted diapers, one-size diapers, diaper covers, all-in-one diapers, and all-in-two diapers. For example, clicking on Wee Weka Diaper patterns brings her to six pages of a PDF file that allows for printing of the diaper pattern, instructions, and images for three different versions to make with the pattern. 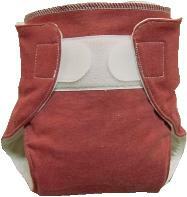 There is one for a pocket nappy that explains what kind of fabric is needed and with the instructions. There is one for training pants and a fitted nappy as well. Another project a beginning seamstress may be interested in is creating an apron. 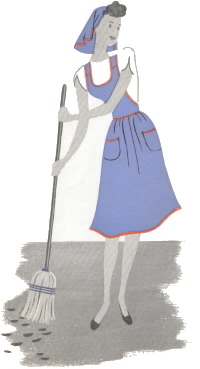 There is a website that contains 50 free apron patterns that she may find useful at Tipnut.com. There is also a freebie section at the end of the listing of the 50 aprons that contains a new list of patterns and tutorials that may be of interest. There are a different variety of aprons that she can choose to make, such as full aprons, lined and reversible aprons, dishtowel aprons, craft aprons, housekeeping aprons, children's aprons, vintage style aprons, men's aprons, and more. For example, clicking on the Vintage Pillowcase Apron Tutorial will take you to a page listing with step by step instructions with images to help guide her. Knowledgeable in all things to do with HP toner cartridges and HP ink cartridges, James makes sure the site is updated regularly, and also takes the time to blog. Very nice dresses.I am glad to read this post, its an interesting one. I am always searching for quality posts and articles and this is what I found here, I hope you will be adding more in future. Thanks!